According to The Verge, it's a simple premise: wireless-signal-infused stakes in the ground would regulate the robot's reign, and your grass would get uniformly tended to by your robot groundskeeper as you kicked back on your porch. The National Radio Astronomy Observatory, though they observe in the opposite direction, feared interference. 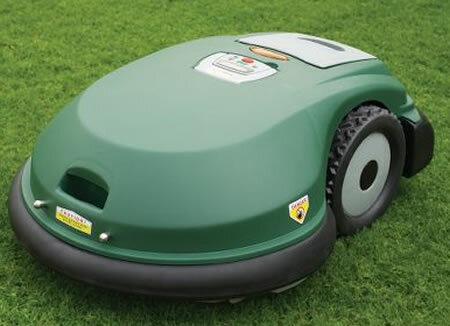 After iRobot obtained clearance, their land-roving robots are nearly ready to make your lawn look lovely. The company, while preparing to launch the all-terrain Roomba, claims they will "continue exploring the viability of wideband, alongside other technologies, as part of a long-term product exploration effort in the lawn mowing category." Just don't let the signals get crossed with the stars. According to CNBC, the Federal Communications Commission has approved the RLM ("Robot Lawn Mower") for duty, as long as its radio-fence stakes don't exceed 24 inches above ground, and it doesn't interfere with other operations on its bandwidth. The device beats its competitors' complex subterranean necessities of networks needed for operation. Outside of the Roomba, this Lawn Ranger joins the iRobot fleet of a floor scrubber (Scooba); a mopper/duster (Braava) and gutter cleaner (Looj). Get out there and clip like a champ, RLM!